Do you want an internship that exposes you to a ruthless Democratic politician who murders and threatens journalists and has bisexual orgies with his wife and staffers? The University of Missouri can make it happen! 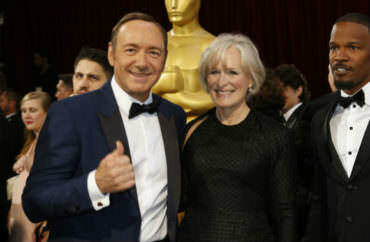 It stars Kevin Spacey, who is currently facing multiple sexual misconduct allegations from young men stretching back the 1980s and a sexual assault allegation from a former male employee of the show. The Columbia Daily Tribune reports that the content in the “MU Info” email – titled “Experience the real life House of Cards!” – was also posted to the MU Info website., though it is no longer visible. The Tribune notes that alleged sexual harassment of interns brought down a Democratic state senator and Republican House speaker in 2015. The makers of “House of Cards” said its next season would be its last soon after actor Anthony Rapp came forward with allegations that Spacey made a sexual move on him when Rapp was 14.